Creating and installing natural environments for life! Thank you for visiting Landscape Solutions LLC, a two time state award winner for landscape construction. 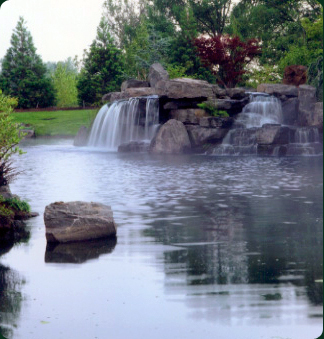 We have been in business since 1992, and offer an extensive background in landscape installation, design and professional landscape management. Let our award winning design and customer service provide you with an estimate to help make your vision become reality. With a convenient Portland metro location, we are your one stop company for all of your outdoor projects. A hands on approach, from an owner committed to excellence and a relationship with nature will help you find today's solutions to all your landscaping needs.